Way back in 2014 a new band rose from the Ashes of Minneapolis based alt-country band Western Fifth. Former members Jason Streitz, Tim Heinlein, and Jonas Lader, along with Missy Heinlein and Jimmy Rogers formed The Long Odds. While playing bass in several bands spanning over two decades, Streitz quietly wrote country, bluegrass and folk songs in his spare time. These songs, along with a handful of new tunes would become the foundation for the band. After battling a painstaking nerve disease, bass player Jimmy Rogers' ability to perform was devastated, and he took an extended leave from the group and sadly, music all together. The question loomed of what to do about his critical absence until Michael Fruncillo (Space, Land, and Time) stepped in to help out. Fruncillo was a perfect fit and settled in as the full time four stringer for the following 2 years and played bass on 9 of the 10 tracks on the band’s debut album. Between 2013 and 2017, four out of five members of The Long Odds became parents, presenting obvious challenges. Yet the group has pressed on, and remains committed to regular practices and shows, and is constantly moving forward with new material. 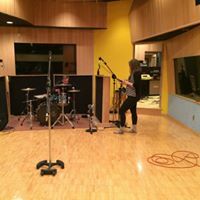 In October of 2016 the band recorded their first full length record with engineer Nick Tveitbakk at the renowned Pachyderm Studios in Cannon Falls, MN. Level Ground was released in the winter of 2018 with special guests Jimmy Rogers and fiddle player Allie Kral (Yonder Mountain String Band) contributing their talents. After sitting in with the band for the album release show, local multi-instrumentalist Kris Ransom joined the band in May of 2018 adding a new rich layer of mandolin and fiddle. In January of 2019 Jimmy Rogers returned as the full time bassist. The Long Odds have shared the stage with a wide range of national and local acts including Sarah Shook and the Disarmers, Nathan Kalish, Invisible Boy, Kind Country, Gabe Barnett and Them Rounders, Bruise Violet, Jay Lenz (Pert Near Sandstone), The Drug Budget, Warren Thomas Fenzi, Jake Ilika and Bernie King and the Guilty Pleasures at prominent local venues such as The Parkway Theater, Turf Club, Icehouse, Lee’s Liquor Lounge, The Cabooze, Como Dockside Pavillion, 331 Club and The Aster Café.